Hello Dealsnloot Readers, Today once again i am back with amazing and biggest loot offer in which you can get easily unlimited Real Money, Recharge or Gift card. AskmePay a new e-Wallet app has launched, also AskmePay has presented promotional offer in which you will get Free Rs.25 in AskmePay wallet on just Sign up at AskmePay. Yes this is an amazing offer you will Get Rs.25 absolutely free on Sign up.So Hurry up and Loot lo.. You can do Mobile Recharge or Bank Transfer with the Help of Udio wallet App. So Loot Lo Askmepay Ko. 2) Install & Open the AskmePay App. 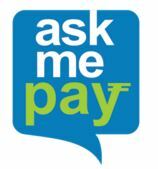 3) Sign up your Account on AskmePay. Note:- It willl show Error on Sign up.. don’t worry try 5-6 times. It will work fine. 4) Verify it with OTP which you recived via SMS. 5) Once your Signed up Successfully you will get the Rs 20 in AskmePay wallet..
6) You can Transfer this Money to your Bank account or do Mobile Recharge. 10) Now select your bank account added to account and keep amount as Rs.25. 1. You need a Rooted Device with Android Id Changer, IMEI Changer and Xposed Module Installed. 2. Now First Of All Clear Data of Askmepay and Udio app and Open android id changer and change its id. 3. Then Open Xposed Installer > Framework > Install / Update. 4. Now After Installing Xposed Module, Your Phone will Automatically Reboot. 5. After that Open it Again Open Xposed > Modules. Make a Tick On IMEI Changer. 6. Now Open Xposed IMEI Changer and put any Value in the Box and Click on apply Button and reboot the device. 7. Open Askmepay app & Sign up with new details.